What is Play by Email (PBEM)? PBM (play by mail) and PBEM is the multiplayer turn based strategy gaming method that doesn’t require players to gather at the same place (face-to-face) or at the same time, as with online MMORPG’s. Players generally devote a couple enjoyable hours per turn at their convenience to plan their moves and submit them to the game master or server where moves for all players are processed simultaneously. 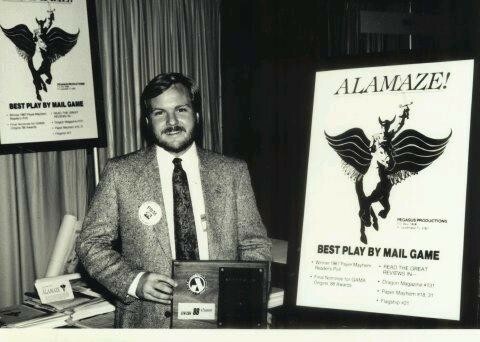 Alamaze is not played by email though turn results are available that way, but PBM and PBEM are familiar terms to players that discovered this little-known but rewarding hobby that will pull you in and hold your attention for years or decades. Another and perhaps better term for this style of game is Episodic Gaming, for each turn has simultaneous processing of dozens of commands issued by each of perhaps 12 players, so each turn's planning and resolution is akin to an episode in a drama or a chapter in a novel. Generally players have three days between episodes to plan their strategy and issue their commands, and perhaps conduct diplomacy with allies and enemies. PBEM games are generally more complex than board games or real time online games and there is much more variety of action and replay appeal. A single game generally will provide enjoyment for several months. These are specialized, deep strategy games for a discriminating clientele. Reflexes count for nothing. The majority of PBEM players are professionals in their "real" lives and players go on to enjoy Alamaze into their retirement years. If you've played popular board games like Axis & Allies or Settlers of Catan, or immersive computer games, you'll likely enjoy Alamaze quite a bit and wish you had discovered it long ago. Alamaze is widely considered the best PBEM fantasy war game ever. Even those adherents of other titles would certainly place Alamaze in the conversation about the best games. 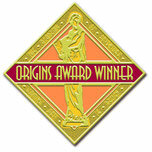 Alamaze won PBM Game of the Year at both Origins and GAMA, and has been played and loved by its thousands of players for twenty-five years, which is testimony in itself. Alamaze Classic are games of from five to 12 players per game, each controlling a unique kingdom, such as The Ancient Ones, The Black Dragons, The Underworld, the Trolls, or The Witchlord. Each has different strengths and weaknesses. There are more than 100 different commands covering political, military, economic, magical and covert possibilities. There are also more than 100 spells, and over 60 artifacts. No two games of Alamaze are ever alike. Besides the opportunity to rule one of 24 unique kingdoms, each distinct across multiple lines of play including military, political, economic, covert, and magical lines driven by different character types that advance in skill and ability, the mix of opposing kingdoms, and opponents and experience gained in each campaign leads to new strategic approaches not tried before. No one kingdom has dominated in wins, and none trails the leaders by far despite playing completely differently from one another. Destiny beckons. Fate calls. Eternity awaits. Can you summon the courage to enter the fray of ALAMAZE and lay claim to greatness? Ahead of you? War. Assassins. Treachery. You must act NOW, lest all hope be lost! Players receive an xml / HTML File with each turn's results. Results are comprehensive and include political, military, economic, covert, esoteric, spell lists, and a summary of orders given. Each kingdom has dozens of differences and many unique abilities and skills. Here is a sample, the dossier for the High Elves in Alamaze 3rd Cycle. The Early Strategic Objective and Secret Victory Condition will be specific in each actual game.